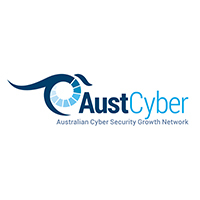 AustCyber – the Australian Cyber Security Growth Network - was established in January 2017 under the Australian Government’s Industry Growth Centres Initiative. Its mission is to support the domestic cyber security industry grow and become more capable and competitive, to help embed cyber resilience as a practice across the Australian economy and to establish Australia as a leading force in the rapidly expanding global cyber security market. Developing a highly capable and globally competitive cyber security industry in Australia will deliver significant economic benefit. Achieving this requires coordination and leadership across industry, research and training institutions, and all levels of Australian government. AustCyber is led by the needs of the cyber security sector, recognising it as an emerging sector of the economy where business, academia and governments are producers and consumers alike. Its role is to support Australian-based cyber security businesses from ideation to export. AustCyber's strategies and activities have been carefully designed to strengthen the competitiveness of the Australian cyber security industry while complementing and avoiding duplication with other plans and initiatives in the Australian ecosystem.